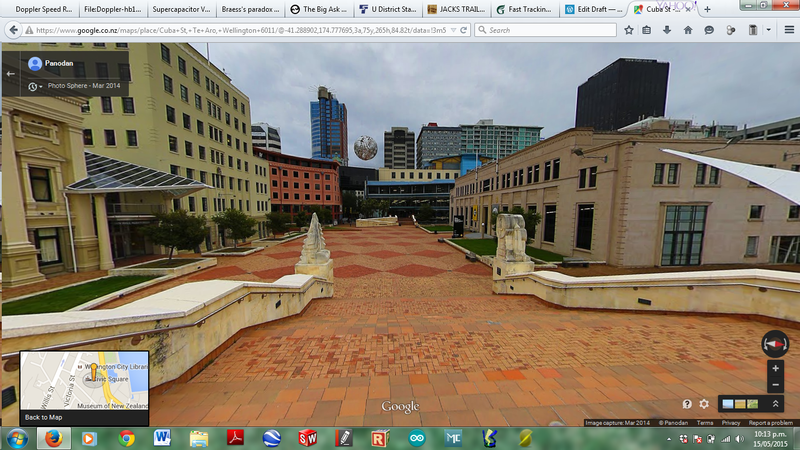 It was depressing reading your front page (March 22) and other items about Wellington traffic. It surely must be obvious that this traffic is part of what makes a very small city so vibrant. Without it Wellington would be a boring public service village with a basket-case economy. The Government realises that good roads are essential for economic growth. They carry goods and services and provide flexibility for people that public transport can never achieve. Given that light rail is a pipedream, they (roads) are essential also for buses. Wellington’s council and some inner suburbs can’t see this and want to go back to bikes, to lower speed limits and to remove developers’obligations on parking. The government is paid election bribes by the Road Transport Forum and the AA (and probably others) to help with their interests. The fact that the roads are a popular vote-winner is a happy coincidence. New Zealand has record car sales and car ownership rates. Cars are the most popular transport, and are not going away. A small number of good roads would lead to huge improvements in transport efficiency. For instance, it is weird that the NZ Transport Agency is not building the Petone/Tawa road urgently, this would greatly reduce the load on the southern motorway and Hutt Rd and divert traffic away from Wellington pressure points. A small number of good roads? Beacuse the Inner-city bypass, Dowse Interchange, “smart” motorway, Kapiti Expressway, Haywards and Transmission Gully aren’t good roads? And the $430 million-dollar Petone to Grenada link – the road that promises to help all 25 people commuting between Pourirua and Lower Hutt? Hmmmm. We’re witnessing the effect of induced congestion – more roads aint going to solve your problems bud. It would be good for the whole region if Wellingtonians could get rid of council ostriches and NZTA got thinking. Interesting – maybe we could build a time machine for this chap, or just send him to the US. 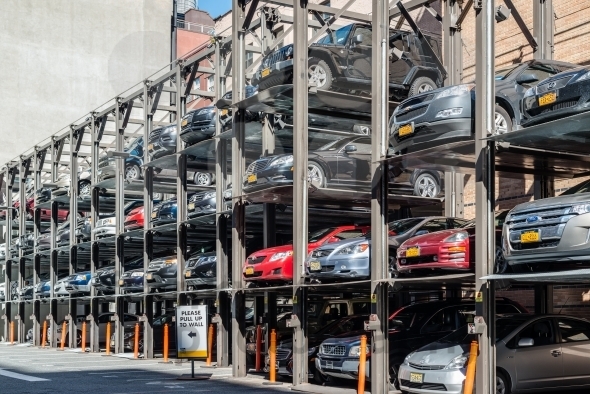 The space used for storing cars when their drivers are working or shopping. These can be found along the side of the street, or in groups where there are known as parking lots. Sometimes they have whole or part of a building dedicated to them, and as long as we have roads leading to cities, we will need carparking, or space to park them. While this is easy to accept – it is the status quo in every city – but is carparking a good use of space? Could it be better used somehow? What is done elsewhere? I wanted to write this about this because one day I noticed that this perfectly good and standard carpark on Wellington’s Cuba Street has brilliant sun, is readily accessible from both Cuba and Marion and has a number of restaurants and bars close by. It has a great vibe and could be much better used as a public pedestrian space. 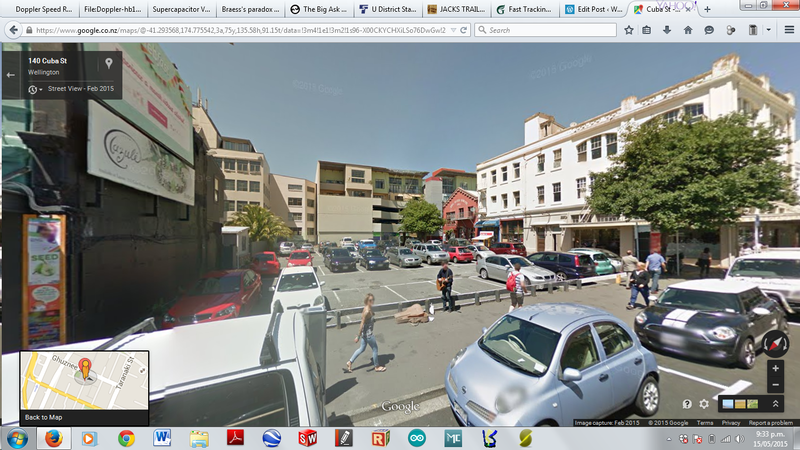 Then I noticed a number of other spaces that could be used in a better way – it seems that empty cars get some of the best sun in Wellington – and I found a few public spaces that already house parking underneath them, and a few more that should. Frank Kitts Park, Civic Square and Queen’s Wharf all have underground parking – it seems that we had some visionary forebears. Other developments such as Te Papa, Michael Fowler Centre and Freyberg Pool are examples where parking was deployed adjacent to the building, possibly with little consideration for what ‘public’ space around the building might be like – the default is to put in a carpark. I’m not trying to say that we ditch the carparks for the sake of having more pedestrian areas, but instead we should think about how these spaces could be better used and how they could contribute to the urban form more positively. To cover car parking spaces would be one option; to move carparks altogether or consolidating parking lots would be another. Parking lifts and mechanised carparking buildings could provide another solution too. The above could be used in combination to enable spaces to be created by consolidating several close-by carparks with the use of mechanised storage. The another option might be to reduce the number of cars that require parking by improving public transport and cycling facilities and providing sheltered streets, however this is a more holistic, city-wide problem, and is an implied long-term goal for the city, who wants a greater share of commuters to use active and public transport modes to commute. I’ll look at a few places where parking could be reconsidered in my next post.